On a daily basis we can choose from a variety of starches to accompany the protein part of our meal that may consist of meat, seafood, vegetables, or legumes. However, on some occasions, only white rice will do. Think of it this way. When fried (sautéed) pumpkin is cooked, it is a given that it will be accompanied by paratha (oil) roti. When macaroni pie is in the offering, so too is baked chicken. And when we think of eating tennis rolls, our thoughts immediately turn to cheese, the same way they turn to bread when ham is in the offering. I do not believe that there is any scientific reason for certain combinations, rather, I think that these are practices that we have created, some borne out of necessity while others are about availability. 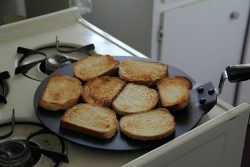 For many of us it is what, and how we grew up eating at home, that has continued in our own homes as adults. 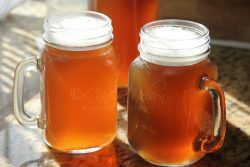 At the same time, many of these combos are simply personal preference. I know a very good friend that dismisses the idea of curry with rice; for him, curry must be accompanied by roti. While that is true for many, there are some things I tell you that are best when eaten with white rice. 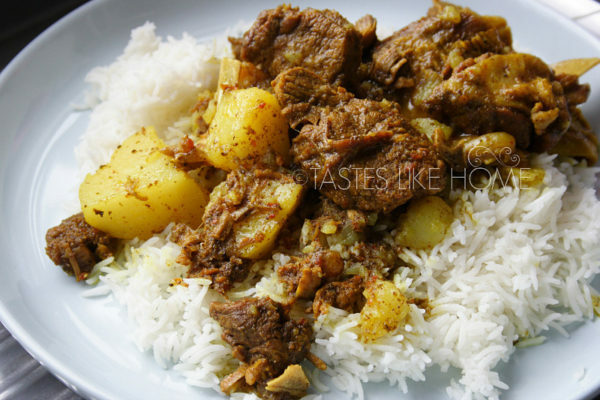 Any curry or stew finds a great partner in white rice. Fried salt fish and dhal seem to have a natural affinity to white rice, so too do sardines and fried corned beef. But why, do you think? 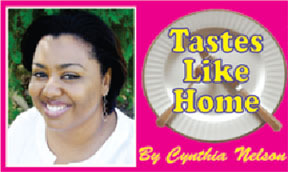 For my own part, hot, white, fluffy cooked white rice does not compete but compliments. When served with a curry or stew, the gravy or sauce blankets the rice, clinging to it; mixed together, they become one, a perfect union. It has the same effect when served with dhal accompanied by achar. Stews and curries are deep flavoured dishes, and in some cases, spicy, therefore, serving them with white rice offers a light, neutral accompaniment with the right amount of resilience to stand up with its robust partner. Fried salt fish is an assertive dish, anything accompanying it should always be there to support, enhance and elevate. When eaten with white rice, you get to enjoy the flavour of the fish and the ingredients with which it is cooked. 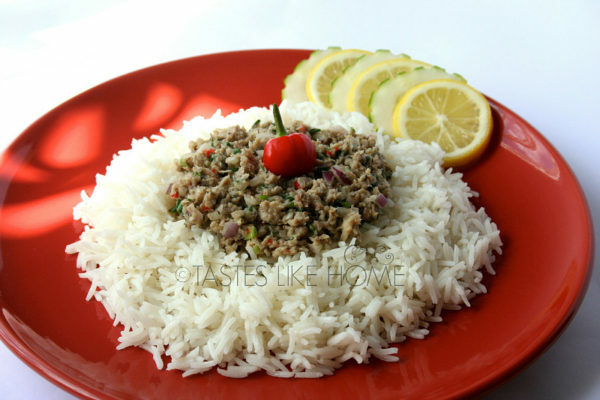 The rice in this situation offers a good mouth feel and frequent relief from the robust flavour of salt fish. An excellent feature of white rice is the tenderness of the grain when cooked. The rice grows, swelling 3 times its original size. The texture of the cooked grain retains just enough starch to cling to whatever it is combined with when eaten. This is why eating sauce/gravy-less things like sardines and corned beef pair so well with white rice. It is not only in combination with another dish where only white rice will do, there are certain dishes that are best made with white rice due to the characteristics of the grain. 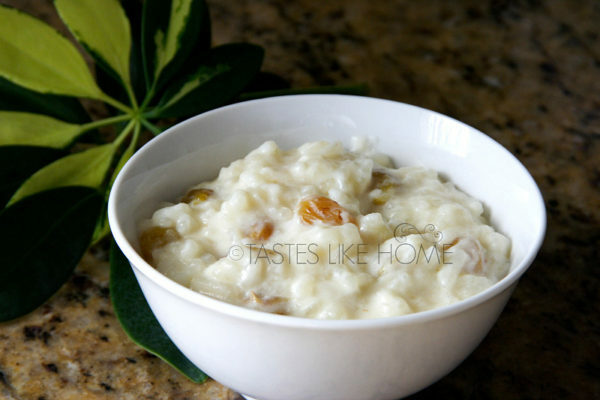 Rice pudding/sweet rice is one such dish. The rice releases enough starch to add to the overall creaminess of the dish and cooks up without being grainy. The rice easily absorbs the flavour of the spices, works in harmony with the milk and makes for an indulgent dessert. 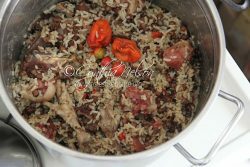 Fried rice, rice salad and stuffing using rice are all best suited to white rice. What’s your favourite dish to eat with white rice? Mine is a hot fish curry with green mango and a couple of ochroes/okra thrown in.